The days are getting shorter and weather is getting colder. Daylight saving time is ending and it’s back to standard time for most people in the United States. 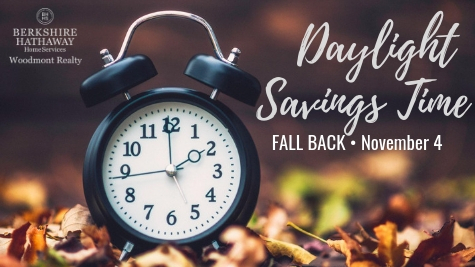 The annual fall ritual means turning back your clocks by one hour, and relishing 60 minutes of extra sleep this weekend. The change comes at 2 a.m. local time Sunday, Nov. 4. The shift moves one hour of daylight to the morning from the evening. It’s always a great time to change the batteries in your smoke alarm. To learn more about Daylight Savings and the history of how it came about…..click here.